Less than 24 hours after arresting a man in connection with two violent and "unprovoked" attacks on BART, the transportation agency on Monday was alerted to a slew of others crimes across its system. At least nine incidents, which ranged from bike thefts to laptops being stolen, were reported Monday night at stations across the Bay Area, according to the BART police log. A complete breakdown of the reported crimes is listed below. Before the crimes were committed, BART police arrested Mario Washington for his suspected role in two separate attacks that left two men with non-life threatening injuries, according to police. Washington hit a man with bolt cutters in one attack and punched another man in the face in the second attack. BART indicated that its police presence will remain heightened in response to the recent crimes. A female victim reported that her cell phone was stolen by a juvenile male who fled from the train with three other young men, according to BART police. The victim was not hurt, and her phone was eventually found. Two of the boys were detained while two escaped. The two detained boys were eventually handed over to their parents. A victim reported that their motor scooter was heisted from the area where motorcycles are parked, according to BART police. A male victim reported that two juvenile males held him down on a train and stole his laptop, according to BART police. The suspects escaped from the train and have not been found. A male victim reported that someone managed to get into his car, open the hood and steal the car's battery, according to police. 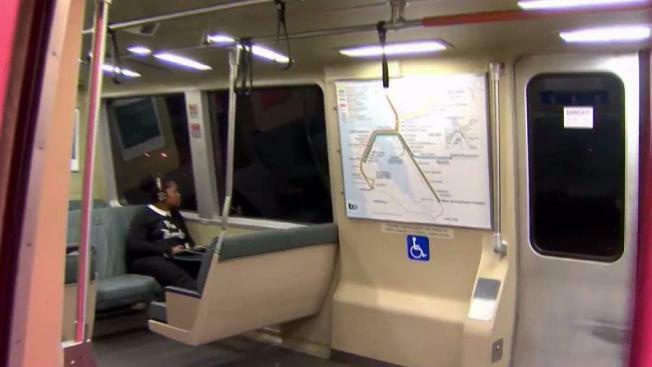 A male victim reported that a juvenile suspect snatched his laptop after he fell asleep on a train, according to BART police. The suspect, who was with a group of about five juveniles, fled from the train at the Coliseum Station. The suspect and the group have not been found. The man's laptop was also not recovered. He was not injured. Three victims reported that their bikes were stolen from bike racks, according to BART police. The three bikes were securely locked when they were taken. A victim reported that he left his bike on the platform before hopping on a train, according to BART police. When he returned, the bike was nowhere to be seen. A victim reported that their bike was stolen from bike racks, according to BART police. The bike was securely locked when it was taken. A 1998 Honda Accord was taken from the station's parking lot, according to BART police.